NAPLES, FL (November 20, 2018) – Gulfshore Insurance, a Florida-based insurance agency, is pleased to announce Jeffrey Sanders has been certified as a Transportation Risk and Insurance Professional (TRIP™). This insurance designation recognizes specialized expertise in transportation insurance and establishes one’s commitment to the transportation industry through an on-going continuing education component focusing on transportation risk and insurance. “The TRIP program has helped us show our transportation clients and prospects that we understand their most important insurance needs,” said Brad Havemeier, President and CEO of Gulfshore Insurance. “Jeffrey has further strengthened our agency with the specialized knowledge necessary to provide superior risk management and insurance advice and service to our transportation clients. The TRIP continuing education program is a specialized curriculum consisting of five, self-paced courses presented entirely online. Only those who complete these courses and maintain their knowledge with an ongoing continuing education program are entitled to display the TRIP designation to certify their knowledge of transportation insurance. For more information about the TRIP continuing education program and designation, visit www.TRIP-CE.com. In the 1980’s, Congress amended the Social Security Act to include the Medicare Secondary Payer Act (MSP), which effectively enacted Medicare liens. In 2003, the Government clarified its position that self-insured entities were also included in the MSP in passing the Medicare Act of 2003. Prior to the Act, Medicare did not have an efficient mechanism to identify or evaluate instances where Medicare’s liability should have been secondary. In 2003, the government took no steps to actively pursue settling Medicare eligible plaintiffs. Medicare lacked efficient mechanisms to pursue cases where its liability should have been second to the responsible party. Every five seconds there is a vehicle crash in the United States. Wouldn’t you like to know if your drivers are at a greater risk of being involved in an accident? The Driver Performance Analysis System (DPAS) is a tool that can help. DPAS is a two-phase driver performance measurement and analysis program which, when completed, is a valid and reliable measure of a driver’s traffic related knowledge and skills. Probability that training will improve abilities in each of the four areas. For more information on DPAS, contact us today. 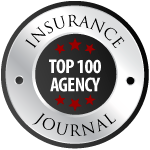 NAPLES, FL (August 13, 2018) – Gulfshore Insurance, a Florida-based insurance agency, recently made the Insurance Journal’s Annual list of Top 100 Independent Property/Casualty Agencies. Gulfshore is one of only eight Florida agencies to make the list. “We strive to build and maintain the trust of our clients by providing a consistently impeccable experience. To see those efforts contribute to our growth is quite rewarding and we’re very pleased to see the progress we make each year,” said Brad Havemeier, President of Gulfshore Insurance. The annual list is ranked by total property/casualty revenue for 2017 and comprises only those agencies that are privately-owned firms whose business is primarily retail, not wholesale. All information in the report was garnered from voluntary online submissions from agencies and brokerages. To view the full list of Top 100 Property and Casualty insurance brokers, click here. Drones & Associations…A Cause for Concern? The growing use of drones by consumers across the U.S. is leading to the adoption of new rules and restrictions by not only government, but also private organizations such as community associations. Questions regarding safety, property damage, and privacy abound with drones, and associations are responding by establishing clear parameters for their use by unit owners. Can associations prohibit drones from flying over their property? If a drone operated by an owner or a business falls on another owner’s car, will the board be liable for the damage? Should boards themselves use drones to patrol common areas and spot rule violations? If they do, how should they manage the information and images they collect? How will boards balance the privacy concerns of owners and the desire of others to operate drones and/or have them deliver pizzas and packages to their homes? These are just some of the questions boards will have to address. While it is too soon to offer definitive answers, a few preliminary observations may help frame the issues. Boards have the authority to adopt rules banning drones in common areas, and some association attorneys think they should do so proactively. Their concern: Boards that don’t control drones now may lose the ability to do so if federal or state laws or regulations broadly permit their operation. Instead of banning drones entirely, which will upset some owners, boards could consider regulations limiting their size or specifying where and when they can land in common areas. Although associations can’t ban the ownership of drones, they can prohibit drones from flying within a specified distance of owners’ units or require drone operators to obtain permission from residents before photographing them or their property. The liability concerns surrounding drones will be large and complicated. Insurance companies are just beginning to evaluate the risks and opportunities in this emerging market. Boards should check with their insurance agents to determine what their existing policies cover and what additional coverages they may need. Even if boards aren’t yet ready to act, they should start discussing policies, procedures and regulations governing drones before they begin fielding the inevitable questions, complaints and law suits related to them. Two years ago, we would have said that drones are coming. Today, we have to say, they’re here. The challenge for community associations is finding ways to live with them. If an association concludes that it wishes to permit the operation of drones in the community, it should consider the adoption of rules and restrictions to help ensure safety. These include the establishment of designated take-off/landing sites, restricting their use to daylight hours, developing penalties for violations, and clarifying that the association is not liable for any property damage caused by these aircraft. Additionally, the association board or management should consult with its insurance agent or consultant to confirm that it is adequately insured with regard to the risks that may be presented as a result of the use of drones at the property governed by the association.